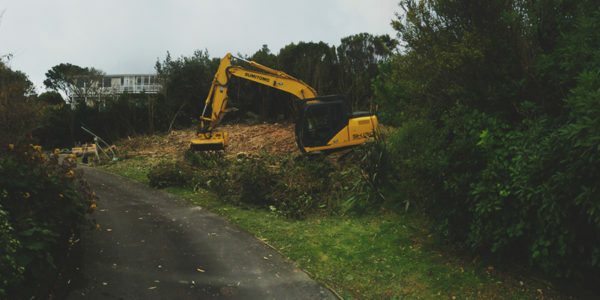 We currently specialise in residential earthworks and demolitions as well as commercial and small subdivisions. 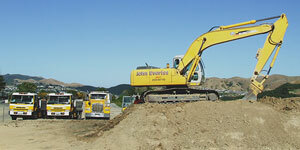 Our wide range of modern equipment ranges from Bobcats, loaders and dozers through to compactors, trucks and excavators. 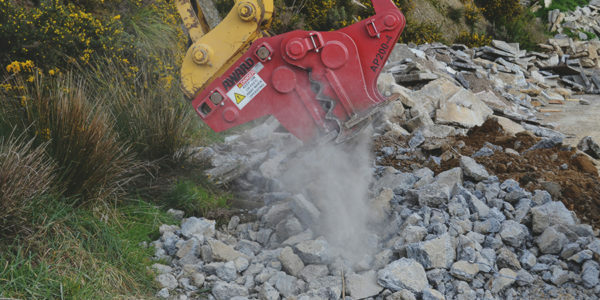 Utilising this equipment enables us to auger holes, rock break concrete, screen soils and metals as well as recycle to help aid our environment. Not a problem! 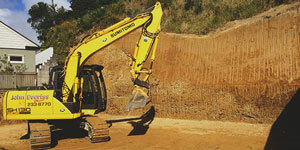 Compliant machinery set up with specialised attachments including grab buckets & rock breakers. 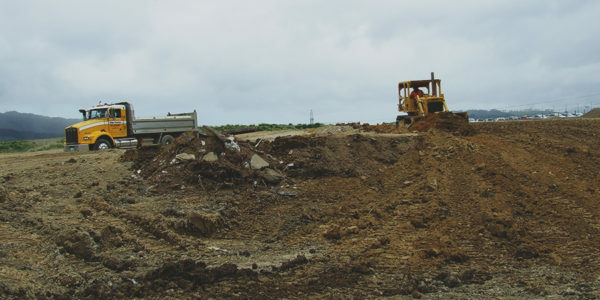 We recycle where possible with concrete, roofing and many other materials to reduce the amount of waste. 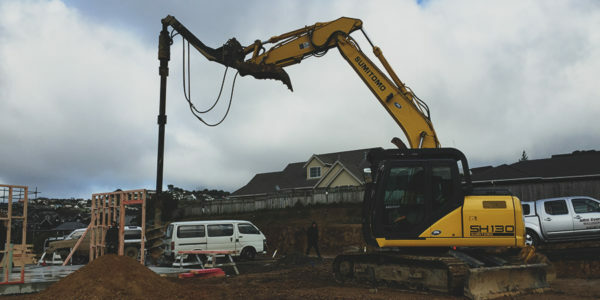 Auguring of holes for piles or retaining walls in the hardest of ground conditions through the use of special attachments developed for Wellingtons rock conditions. 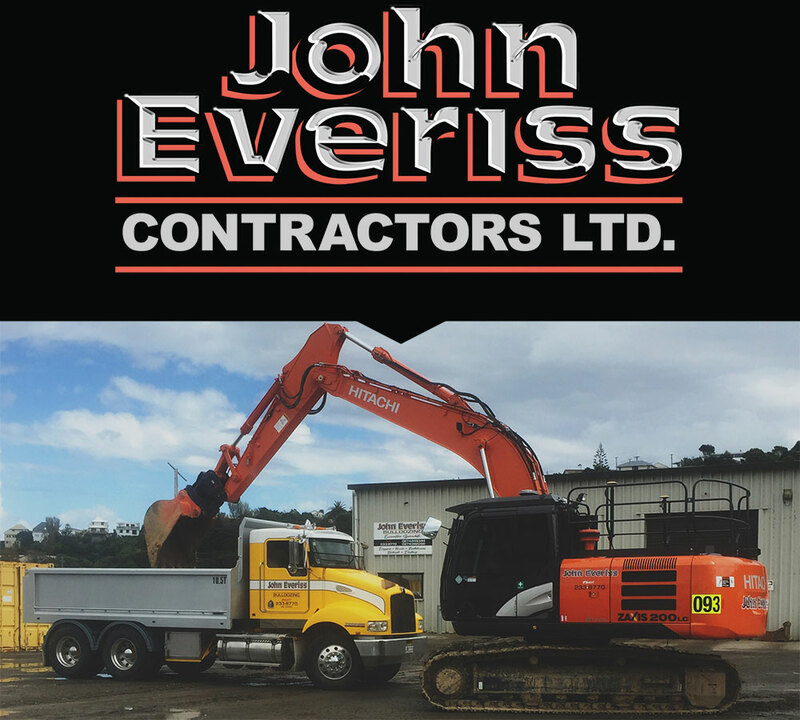 John Everiss Contracting use a mulcher which can be attached to a variety of the larger machines which helps with growth management and can also reduce the amount of green waste being carted off site prior to excavation. 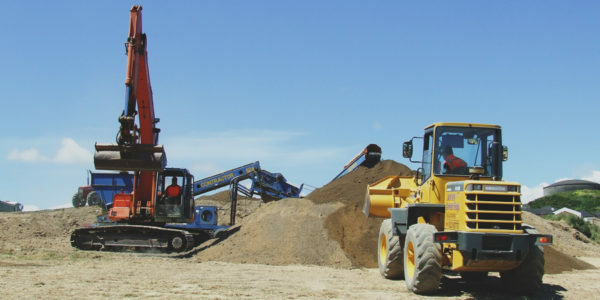 Screened topsoil available for pickup or delivery. 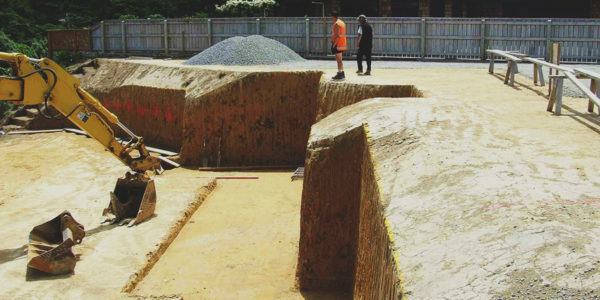 RibRaft® foundation preparation specialists, drains, footings & foundation preparations. 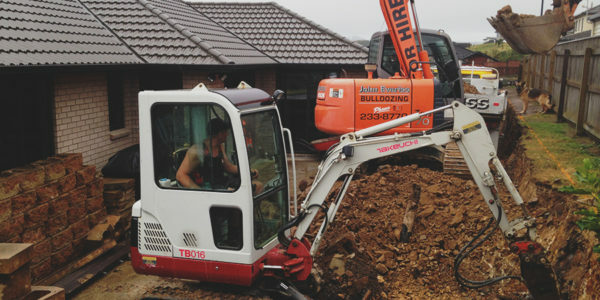 We have our own tipping options available ensuring competitive rates for clients. 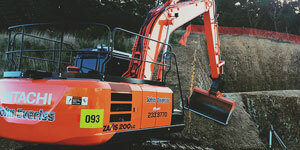 We have experienced staff available to develop, prepare roadways, servicing and kerbing etc. 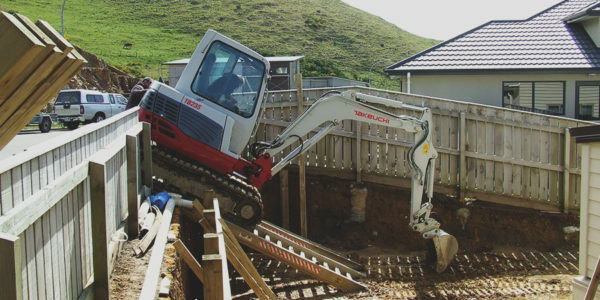 We have the skills and experience to access any site, even with the tightest access we are able to utilise the small excavators and motorised wheel barrows. 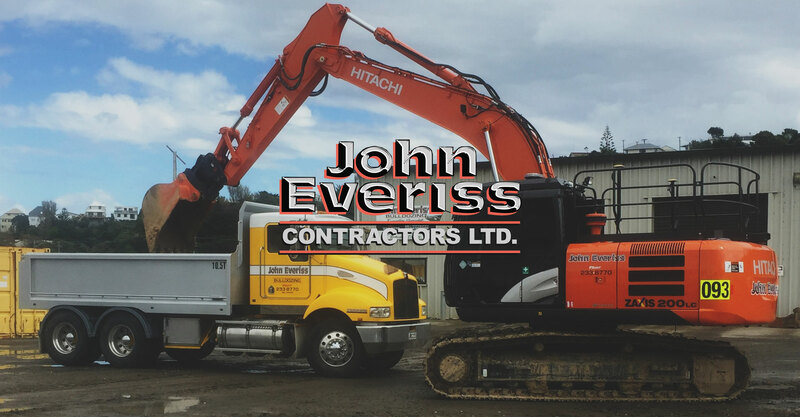 We provide drilling for retaining walls, backfilling, as well as patio/path preparation and the supply and placement of topsoil. 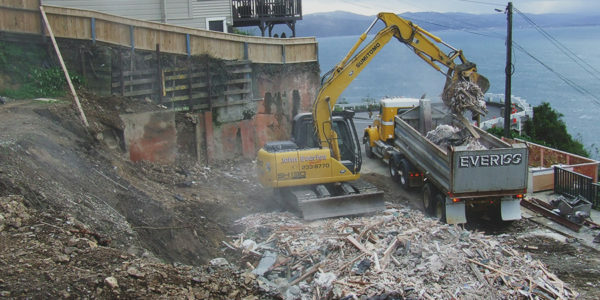 Competitive tipping available to recycle concrete from demolitions and renovations. The concrete is then feed through a crushing plant, reinforcing steel removed for recycling. 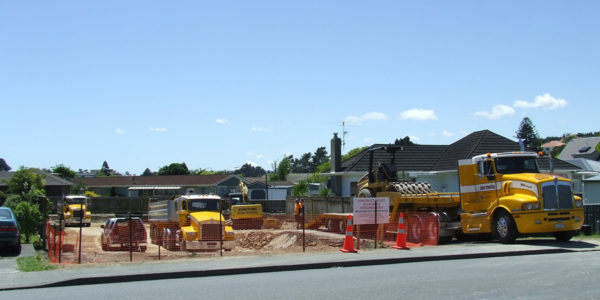 The concrete is then sold for reuse as a subbase. Due to the high cement content this tends to be very good binding material. 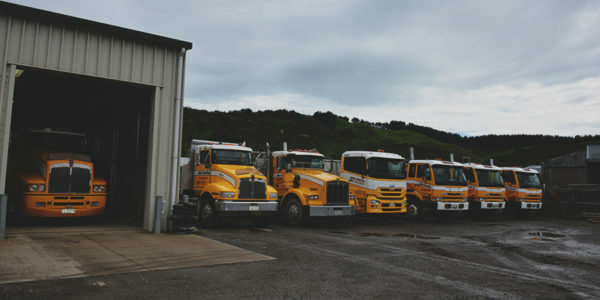 We have our own transporter for the relocation of our equipment which ensures we are not reliant on other companies to getting to your project. 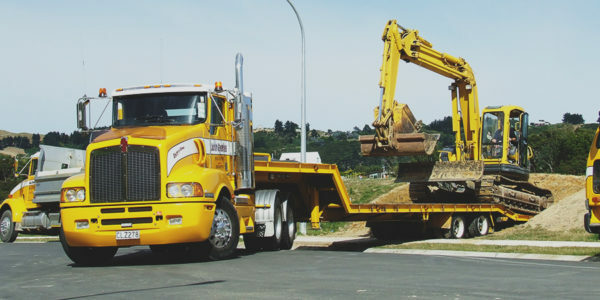 Our transporter is also available for hire to move other machinery.